Major Fundraiser of the year for the Central Coast Animal Care Facility in Erina! Join us for a night of fun, laughter and great prizes, shared with animal lovers of the central coast. This is the first of what we expect to be a full fundraising calendar for 2019; we hope that our volunteers, their family, friends as well as all of our supporters near and far can help us reach our goal of $5000. This $5000 will be used to improve the facility, continue on-going care for the abandoned, unloved and mistreated animals of NSW as well as ensuring a secure future for the facility. 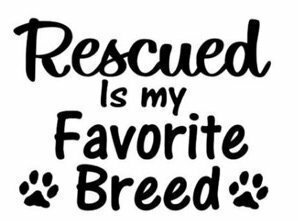 It is only through the kind and generous donations that we be able to continue our mission and commitment to no kill animal rescue and second chances for those who have no voice. All items have been donated for Raffles, Silent Auctions and Lucky door prizes to help us reach our goal. 100% of nights earnings will go back to facility for improvements, medical bills, and investing in the future of animal rescue. A professional trivia host will ensure the evening runs smoothly, while a group of passionate volunteers help out on the evening. Food & Beverages will be available to purchase at club and consumed in Trivia Venue. A big thank you to Central Coast Leagues club for donating the room as well as all businesses from Hunter Region down to Sydney for their kind donations. Food & Beverage will be available to purchase at club and consumed in Trivia Venue.